Please disregard my intention to join - I see a lot of knowledge and good on the forum so God bless you for your efforts. That being said, it is sad to see that while you maintain what seems to be a very respectable outline of the forum rules, which includes criticisms based on evidence and not individual, and especially the notion that there is no place for narcissism, its sad to see that there is a lot of boastfulness and pride within a lot of the posts. From an outsiders perspective, I am afraid it seems that, based on a few more reads of your content, there tends to be a group-think attack on ideas that you simply don't agree with - and not based on the lack of evidence, but rather that you all (not to generalize but I see the same few people posting usually) have a differing approach based on the same lack of evidence. You have taken things that have potential claims due to ambiguity and thrown them out for reasons that conflict with your own approaches. You mention "no quran translator has used that word" to denounce another persons opinion on the meaning of a word in the Quran but don't accept hadith and scholarly opinions - who do you think usually translate the Quran? Its the same people who have studied under these same mufasireen and muhaditheen, the same ones who translate through the scope of the hadith literature. You call people "so-called" muslims and attack others for leading people astray, again, simply because they just see things differently through ambiguous verses in the quran - this is playing God I am afraid and this is very sad to see on a forum of such potential. Please take this as advice - we sometimes get caught up in our knowledge and forget that we could sometimes be wrong too. God bless, and I hope you keep doing good things but don't forget your responsibility to be critical of your own self-forged indoctrinations. Walaikum As-Salam. What a rant brother ""outsider" !! Hope you're feeling better now. Needless to say, you are entitled to your " outsider's perspective" and similarly I too have a perspective ... or perhaps an "advise." Try not to preach what you apparently don't practice yourself. Seems like you have serious emotional issues with pent-up frustration steadily condensing into egocentric tantrum. We are the MV Team that runs this forum, entitled to construct our own discourse as we deem acceptable. When it involves guests, our place is a venue for mutual discussion; not a hangout for disgruntled or combative narcissists looking for shitstorms. Your finger-pointing tirade is sub-standard to say the least, in that, you astutely place your recriminations as hypotheses without specific allusions in a board with over 11,000 posts on 2,000 plus topics. However, never mind. In a nutshell, yes, we surely do perceive many Muslims as transgressive as we learn and compare in the Light of the Quran as our Benchmark of whatever they promote. We have already stated that universal interpretations/tafisr cannot be pinned on Quranic Verses. 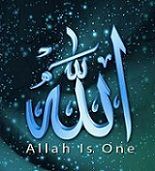 Many Verses can be expounded subjectively; the final interpretation is ONLY with Allah, The Almighty. Everyone has the right to their own explanation as they deem apt to the best of their conscience and discard the commentaries they view as discrepant or flatly wrong with the necessary criticism. I reiterate, the final judgment will come from HIM and HIM alone on the Day of Judgment. Another very vital issue: As a Quran-alone forum, our understanding of the Noble Quran involves direct focus on the Words of The Almighty Who provides us with airtight evidence of every essential aspect of life. We DO NOT tie up the Quran with any man-written works for its interpretation. Nauzbillah. Anyone who does that will be our target of criticism just as you put us on your line of fire as a Hadithist or whatever. Allah Almighty will be our Judge. Therefore, chill out. Your barnstorming makes you look a very small man. Last but not least, your lack of cognizance on MV's stance concerning translations is mind-blowing! You see a lot of "boastfulness and pride" while your own comment is devoid of humility. Preaching what you don't practice is another sign of a so-called Muslim which you irately talked about .. probably you discreetly had yourself in mind and thus the wroth showered on others. Unfortunately it's true and I'll say it to your displeasure again. It brings to mind Verse 61:2 of the Most Noble Quran that states "why do you say what you do not do?" Look at your own diatribe. A glaring specimen unleashing a load of unvented fury in complete disregard to the approach of others you graciously see as "self-forged indoctrinations" .. what a meek and self-effacing tone addressing the boastfuls !! Not to mention, anyone who has an ounce of non-judgmental spirit, would never stoop so low to pick accusative expressions like "playing God" while simultaneously lambasting the same stance. Yes, unfortunately there are many we perceive as "so-called Muslims" which is our perspective. Also there are many we recognize as true Muslims and I hope you become one of them soon .. if Allah wills. You "see the same few people posting" which you term as a "group think attack" is in reality the MV read-only forum run by the MV Team of four. This isn't a traditional public forum and for that reason, unlike traditional forums, we're extremely picky on the issue of taking registered members. It's writ large yet too obscure for belligerents in a rush to grasp. Open your mind and sober up. If you perceive MV so fraught with discrepancies or if you disapprove of someone's manner of expression, you don't have to come here. It's that simple. Promoting consensus rather than disputation on what we perceive as the Truth within our beautiful Faith is the goal of MV. Our job is simply to put that on the table. Take it or leave it is up to every reader and should not involve a restless tirade as the one let loose by yourself. Our guest readers are peaceful and so is our team. No one here is interested in rabble-rousers. "advise" for elsewhere. This isn't the right place for it. The candidates we select for 'advise' belong to a very different category. May Allah Almighty grant you guidance. Don't worry about your intent not to join. Your no-intro registration somehow spelt where you were coming from and it was disregarded and deleted two days ago. Thread closed. No further comments to be entertained from this guest. @Milad Awadallah. Everyone can "breathe" here. Seek a respirator for yourself plus some self-respect. Your comments aren't needed. How many more times do you need to be told that? Your second post, just as useless and unproductive as the first one, has been deleted because you were already told to buzz off and not make a nuisance of yourself. Yes quite a nuisance. Seems like this poor guy has had a bad day after getting a shout from his wife. He talks of "disregard" but cannot himself disregard Muslim Villa. Do yourself what you advise others to do brother Milad. Which piece of work of ours is it for which you didn't find any evidence? Unless you don't recognize the Quran as sufficient source of evidence to satisfy you. That's the secret issue with these folks. They won't say it directly that they just don't consider the Quran sufficient as a source of proof nor information. And that's why they are never specific but instead end up judging superficially, getting involved with others' way of writing or speaking to channel their anger. I know their tactics like the back of my hand.